Again, hire a lawyer experienced in drafting up contracts – it's worth the extra money to avoid paying even more later on when your own contract doesn't hold up. A contract is defined as an agreement entered into voluntarily by two or more parties to create a legal obligation, which may have elements in writing, though contracts can be made orally. 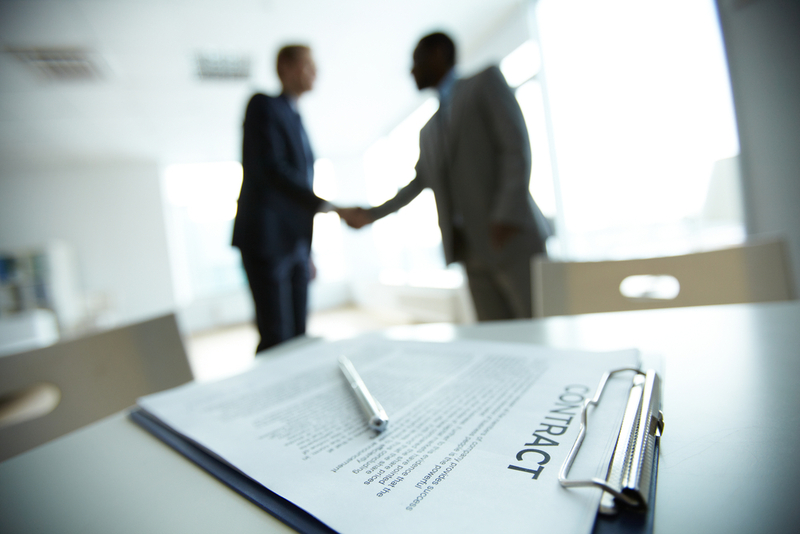 The remedy for breach of contract can be "damages" or compensation of money. Oftentimes, a dispute can occur due to an unclear contract, which is why it's important to have an attorney review the contract and make sure both parties understand the components before it's signed by either party. At Catanese & Wells, it's always our goal to resolve the case quickly and avoid trial, through mediation or arbitration. If a trial becomes necessary, the team will work to conclude as quickly as possible in your favor. If a dispute does arise, despite a contract, it's important to mediate first and then arbitrate in order to help save you time and money, as well as any extra hassle. The American rule provides that each party is responsible for paying its own attorney's fees, unless specific authority granted by statute or contract allows the assessment of those fees against the other party. In the original contract, it's important to state that in the event of a dispute, the prevailing party will provided for the recovery of the attorney's fees. This offers leverage to the prevailing party. Contact Catanese & Wells, a business attorney in Los Angeles, today for more information on how to manage contract risks in California at 818-707-0407.